Gritsenko V.I., Oursatyev A.A Big Data and the Tools for Analytics. P. 3-14. Timashova L.A., Leschenko V.A., Morozova A.I., Taran L.Yu. Building an Intelligent Management System Using the Imaginative Thinking. P. 15-23. Komnatska M.M., Bondarenko D.P. Intelligent Flight Control System Design for the Small UAV Based on the Adaptive Neuro-Fuzzy Inference System. P. 24-31. Rytsar B.Ye. A Simple Minimization Method of the Variables Number in Complete and Incomplete Logic Functions. Part 1. P.32-42. Barkalov A.A., Titarenko L.A., Vizor Ya.Ye, Matvienko A.V. Reducing the Hardware Amount for the Combined Automata. P.43-50. Perlov Ye.F. Some Aspects of the Dynamic of the Transient Rotary Operating Element Under the Influence of the Elastic and Viscoelastic Forces. P. 51-58. Ilin N.I. Information Technology of Monitoring of Atmosphere Pollution by the Chemically Interacting Contaminants with Anomalous Properties. P. 59-66. Fefelov A.A., Litvinenko V.I., Taif M.A., Voronenko M.A. 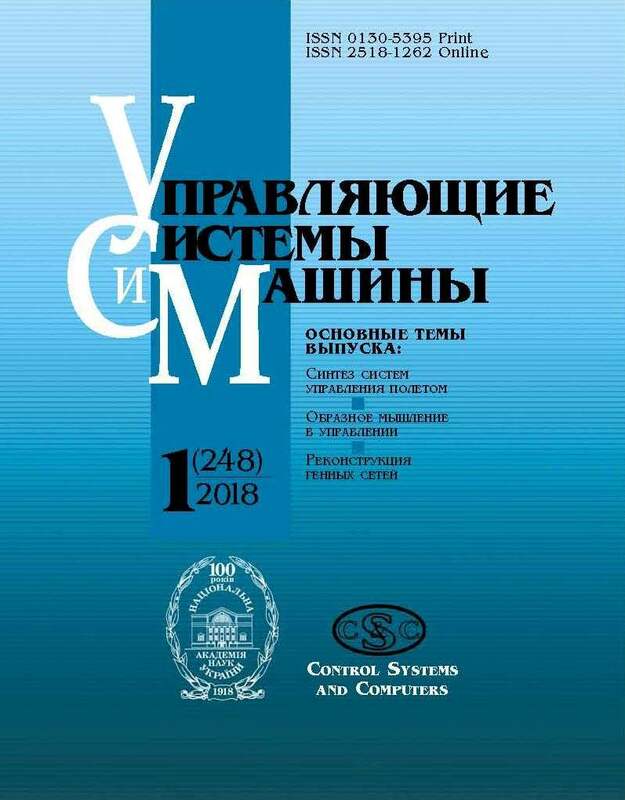 Object-Oriented Architecture of the Information System for the Reconstruction of the Gene Regulatory Networks. P. 67-75, 82. Antoniuk Ya.M., Prus T.N. Technological Aspects of Preparing the Training Content for Supporting Mass Life-Long Learning. P. 76-82. Pavlova S.V., Volkov A.Ye. The Conflict Interaction of Airships in Collision Prevention Threats. P. 83-91.